Health costs are a concern for women and many struggle to find affordable health insurance. According to statistics from the United Health Foundation, 12.2 percent of all women in the United States ages 18 to 44 are not covered by any type of private or public health insurance. Some options are available for pregnant or soon-to-be pregnant mothers along with low-cost insurance options for children. However, these options leave many other women without a good option for health insurance. 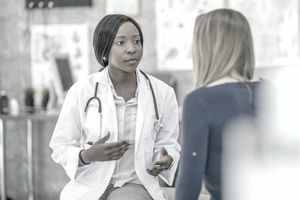 The healthcare concerns of women are unique and differ from that of their male counterparts. When looking at the cost of women’s health insurance, it is important to examine some of the most expensive types of medical costs when compared to men. A survey from Bankrate showed 47 percent of women were faced with a bill for medical costs that was more than they expected compared to 35 percent of men. Another study by the Henry J Kaiser Family Foundation (KFF) shows 26 percent of women compared to 19 percent of men went without health care or delayed treatment because of cost. To learn more about the disparity of health insurance costs of women compared to men, here is a look at the differences in amounts spent on health care by gender based on data from the Centers for Medicare & Medicaid Services (CMS). Women looking for health insurance have specific concerns when looking for insurance about the coverage options for insurance that affect them most. Here are the top 10 leading causes of death among U.S. women of all ethnicities based on data from the U.S. Department of Health & Human Services Centers for Disease Control (CDC). Preventive care is also a leading health concern for women. The proper health care can prevent many diseases and health conditions that can lead to deteriorating health or even death. Preventive health screenings can find diseases early, such as breast cancer, while they are still in the treatable stages. It can also identify women who may be at risk for developing diseases and cancers common among women. Early detection is key to treating and avoiding medical problems among women. Women looking to find affordable health insurance are seeking plans that cover preventive care and coverage options for their top health concerns. Here are a few coverage options for women to consider. Women can access the Health Insurance Marketplace to explore plan options based on several factors including price, benefits, and quality of coverage. When looking at available options, be aware of the coverage for essential health benefits, preventive care, and pre-existing conditions. If you also need coverage for your children, you can learn about insurance programs for single mothers including Medicaid and the Children’s Health Insurance Program (CHIP). On the HealthCare.gov website, you can search for available healthcare plans in your area. You can also see if you may qualify for a subsidy plan to reduce your cost for health insurance. If your employer offers health insurance to its employees, you can check into what options are available with your company’s employee benefits director. Often, many different levels of coverage are available if you are looking for a more affordable plan. The employer may even pay part of the premium, lowering your costs even further. One advantage to employer-based health insurance is that employee insurance premiums are often not taxable. If you are between jobs or have just started a new job, there may be a waiting period before you become eligible to enroll in a health insurance plan. If so, you may want to consider a short-term health insurance plan. The premiums are often very affordable, and you do not have to wait for an open enrollment period to apply for coverage. Most short-term health plans allow you to renew your coverage for up to 36 months. What is the Average Health Insurance Premium?